Selected among 12,398 applications, Gazala Praveen is a 3rd-year student pursuing B.Tech from Asansol Engineering College, West Bengal. After her father passed away last year, Gazala had no financial or emotional support from her family to continue her studies. Her strong belief and will power have helped her fight her family in order to continue her studies. Leaving all the obstructions behind, Gazala obtained a CGPA of 8.96 in her 2nd year of college. She belongs to Sikta, a small village in West Champaran, and is struggling to not be a victim of her family’s mindset of marrying off girls at an early age and not providing them with education. While her father suffered from a prolonged illness, her mother struggled for even the most basic requirements. Gazala, however, never gave up on her education. 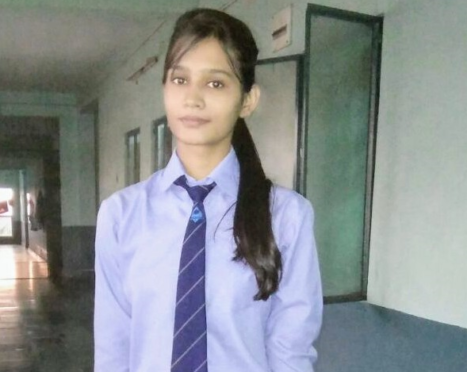 She got admission in Jawahar Navodaya Vidyalaya and became the district topper in her 12th standard. Gazala plans to use this scholarship amount for paying her hostel fee for the previous semester. She aspires to become financially independent and find a job in engineering after completing her studies to provide a better future for her younger siblings. Internshala feels honored to have chosen her as the winner of Internshala Career Scholarship for Girls 2018. Keep it up Gazala – we sincerely hope that this scholarship amount paves the way for a successful career and inspires many more girls and women throughout the country to pursue their own dreams even more relentlessly.